1264 W Main St, Sun Prairie, WI 53590 (#1849399) :: Nicole Charles & Associates, Inc.
Great location on W Main St. with easy access. 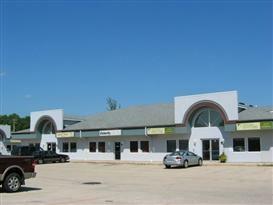 Great retail or office space. Private office, 2 bathrooms and kitchenette. Ample parking. On site monument sign and building signage. Utilities not included in rent. Tenant responsible for all utilities. No CAM charge. Net Leasable SqFt is 1500-3700.